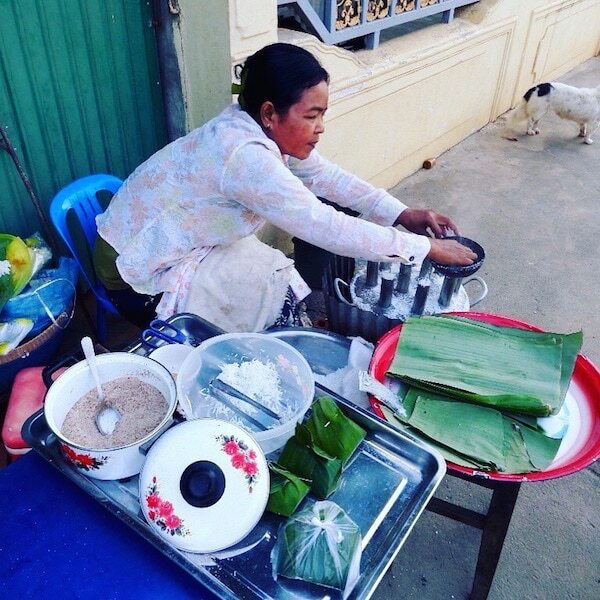 With Battambang’s French colonial architecture and numerous artsy cafes you’ll feel like you’ve stepped back in time when you visit the second largest city in Cambodia. It’s not only the atmosphere of the town that brings people here but also one of the world’s most unique train experiences, the Bamboo Train. 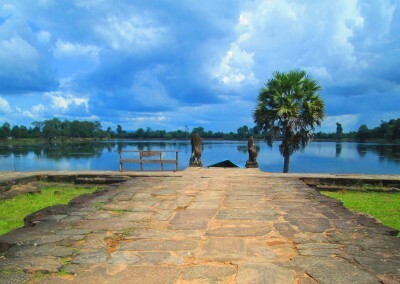 Enjoy a piece of historic Cambodia on your journey through this town, which has so much more to offer than meets the eye. 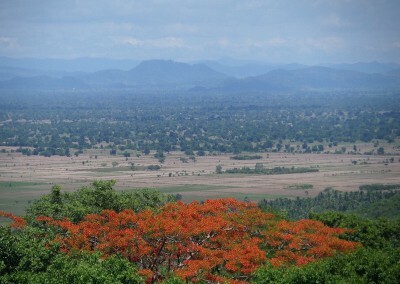 Battambang is located 170 kilometres to the south west of Siem Reap. Most travellers come here by bus, as the town airport is very small with almost non-existent flight schedules, so the best accessibility is by road. 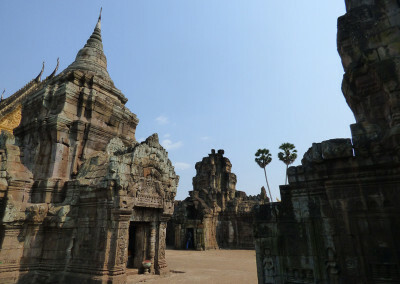 The Capitol Tours Bus from Siem Reap takes approximately 3 hours and will cost around $4-6 USD one-way depending on the company you book through. 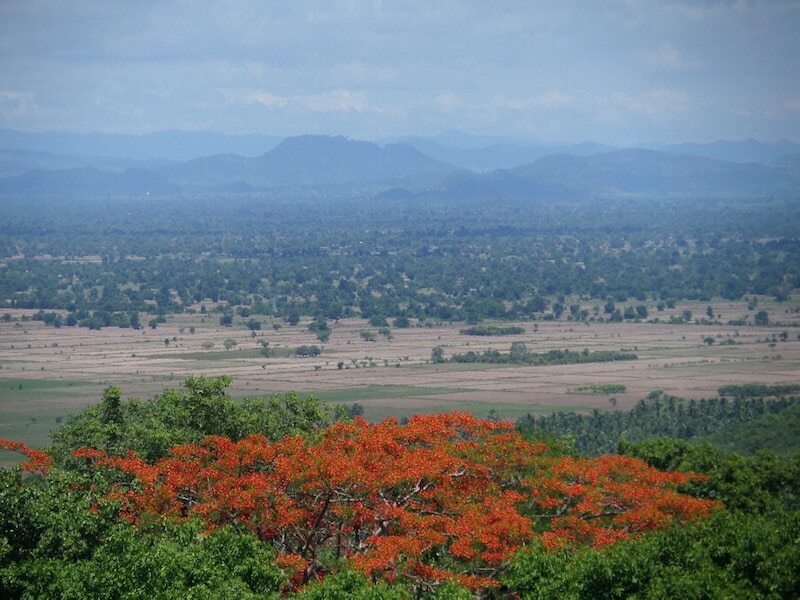 You can also reach Battambang from Phnom Penh. This bus journey takes between 6 and 7 hours and will cost you approximately $6 – $8 through Capitol Tours. There is also the option to take the faster mini-bus from Phnom Penh to Battambang with Mekong Express. It will take approximately 4 to 5 hours however the price will increase to $12 – $14. If you’re feeling a little more adventurous and have a little more time you can reach Battambang by boat from Siem Reap. The journey takes anywhere from 7 – 9 hours depending on the season and water levels, and the cost for the boat ride is $20 per person. 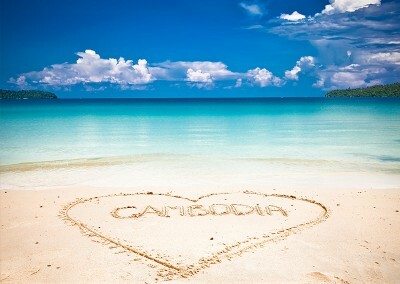 It is a long journey but you will be rewarded with views of the lakeside communities and the real Cambodia. 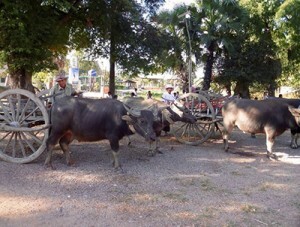 Taxi’s also run from Siem Reap to Battambang. A taxi will cost you around $35 – $50 and will reduce your travel time slightly. This would be a good option if you were travelling in a group and could split the fare. Battambang is much cheaper than Siem Reap and you can get a Tuk Tuk anywhere around the town centre for as little as $1. If you are arriving by bus from the main bus station the tuk tuk into town should only cost you $2. 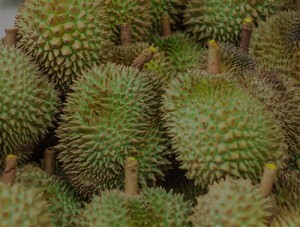 For sightseeing, you can get a tuk tuk to take you to the main attractions such as the Bamboo Train, Killing Caves and Bat Caves from $8 for a private tour or $15 as a group. 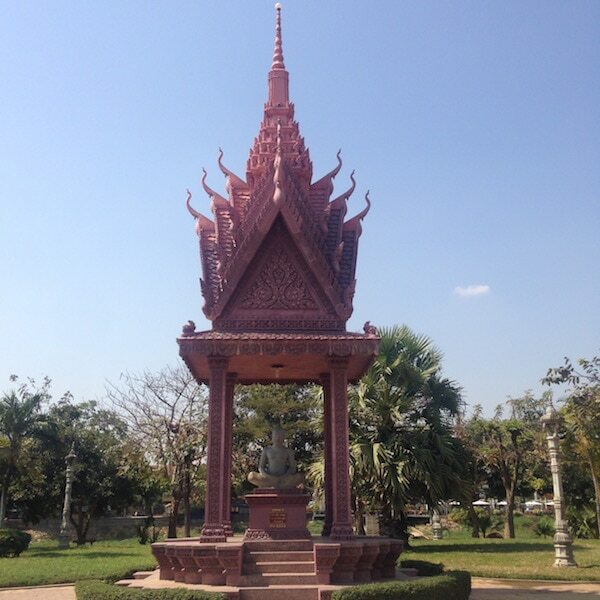 It is quite easy and safe to walk around the main centre of Battambang. 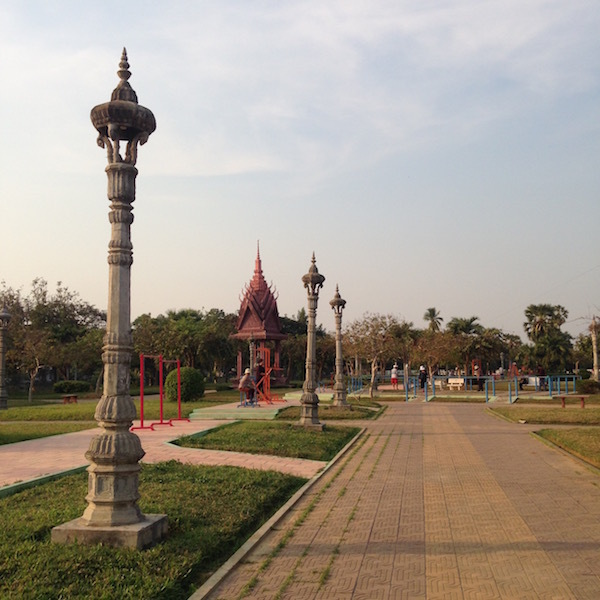 The west side of the river is a park reserve area where you can watch the locals do their exercise of a morning and afternoon and admire the temples located by the river. The main area of town is 5 parallel streets listed as 1, 1.5, 2, 2.5 and 3, so it is very easy to find your way around. 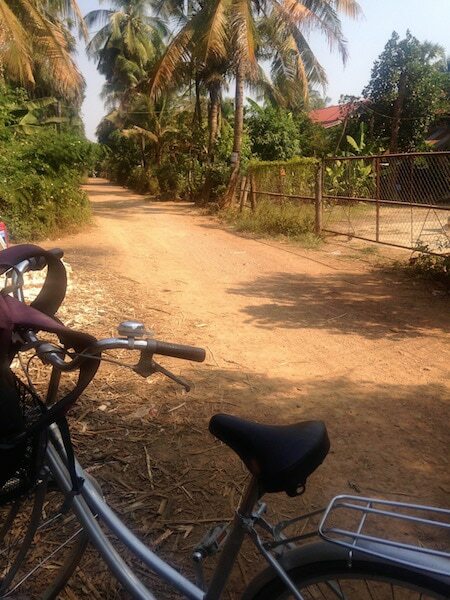 One of the best ways to see the outskirts of Battambang is by bicycle. 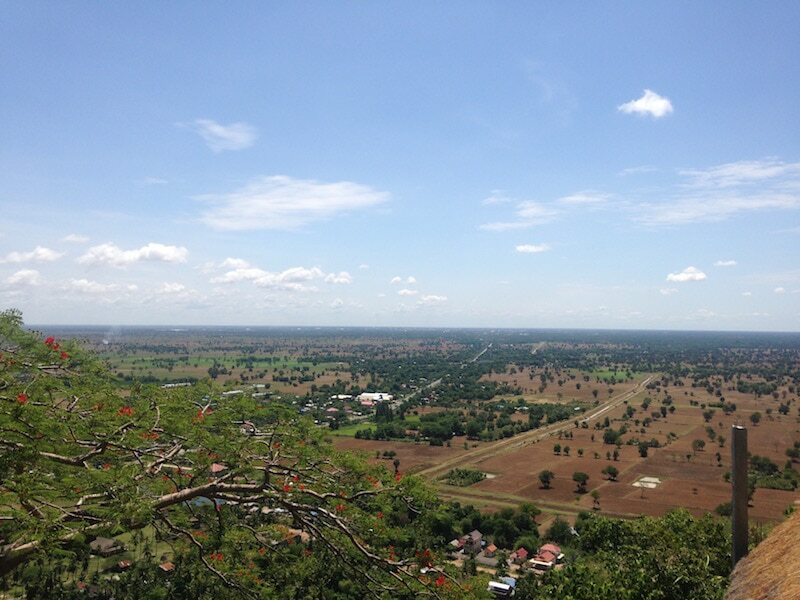 The area is very flat as like Siem Reap, so it is very easy to cycle around to the surrounding villages and watch local life unfold. Most hostels hire bikes for the day for around $2 – $3. 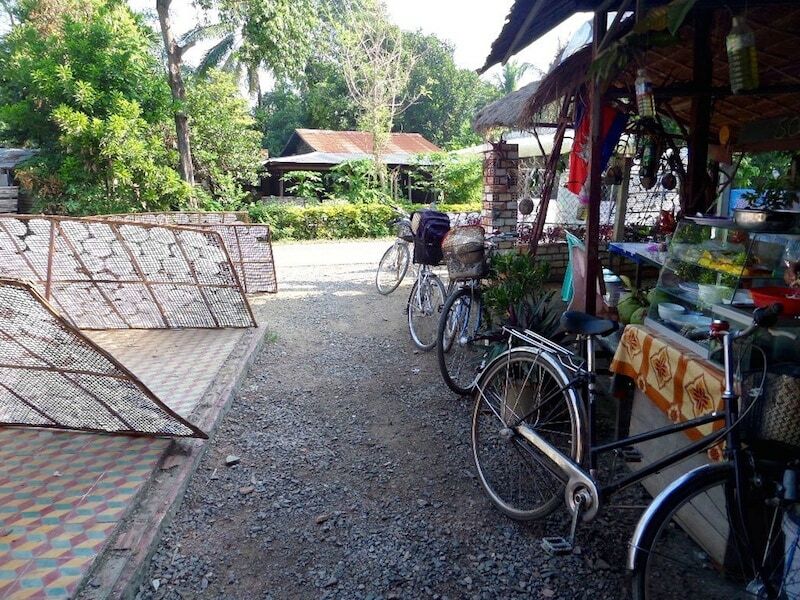 You can rent a motorbike for around $5 – $7 per day and explore the town, however unless you plan to head further out to the Bamboo Train and Killing Caves a bicycle will be sufficient for the day, and is a cheaper and more eco friendly alternative. 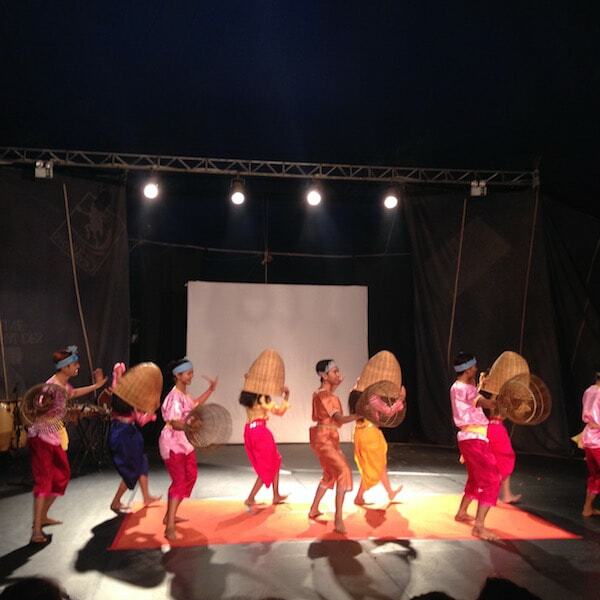 Every second night of the week the students at the Phare Ponleu Selpak (PPS) Arts School put on a fantastic performance for the visitors of Battambang. 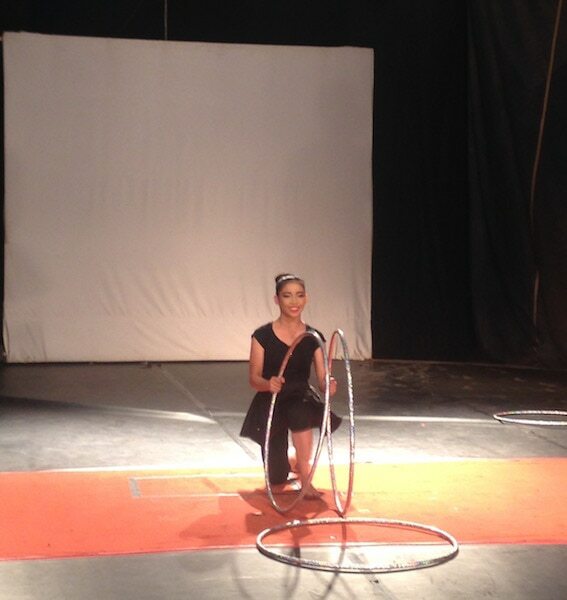 You will be amazed at the talents of the students here, which include dancers, acrobats, musicians and contortionists who all study at the school for free. Phare Ponleu Selpak was set up to meet the needs of underprivileged children, young adults and their families through arts training, education and social support. The money from your $14 ticket will go towards keeping their mission alive and supporting the people of this great community. 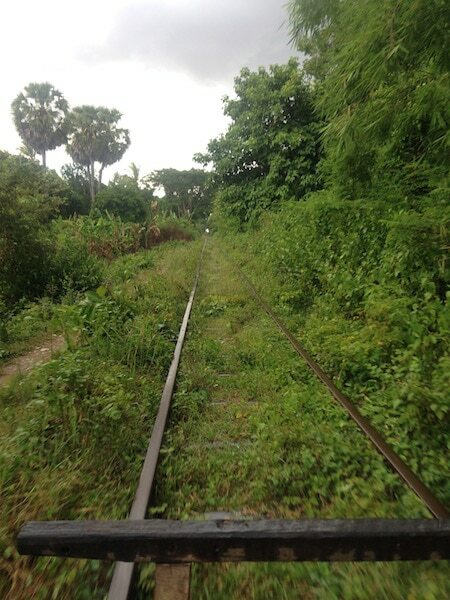 One of the world’s most unique, intriguing train journeys lies right here in Battambang. 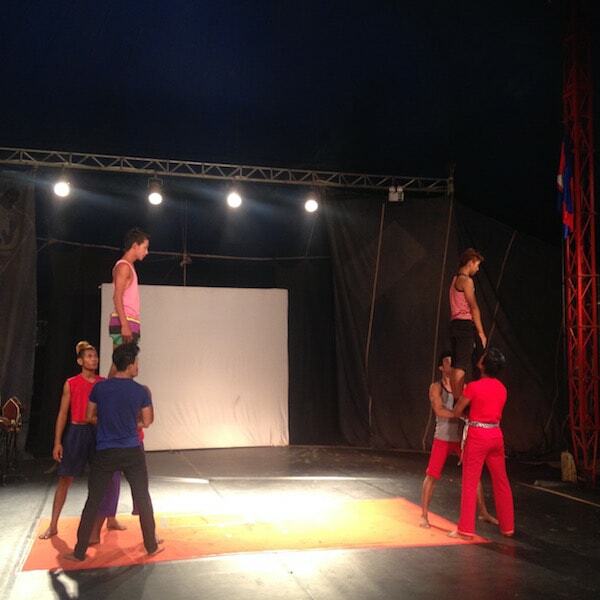 So intriguing that it helped to put Battambang on the tourist map and now brings in visitors from all over the world. 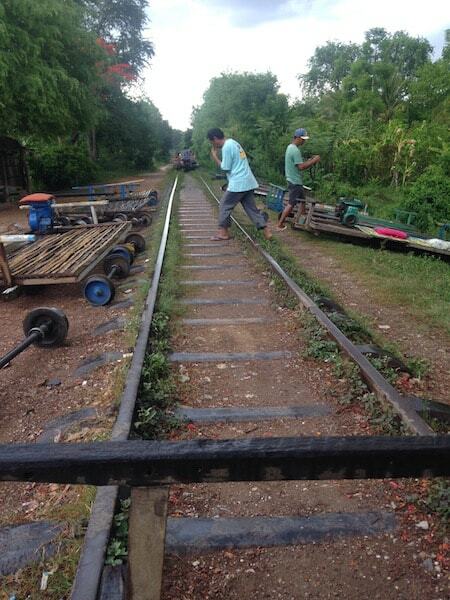 The Bamboo Train was first erected as a way to transport goods and cattle to neighbouring villages, however as time passed and the construction of alternative routes began the train had lost its main purpose, and instead became an attraction for tourists. 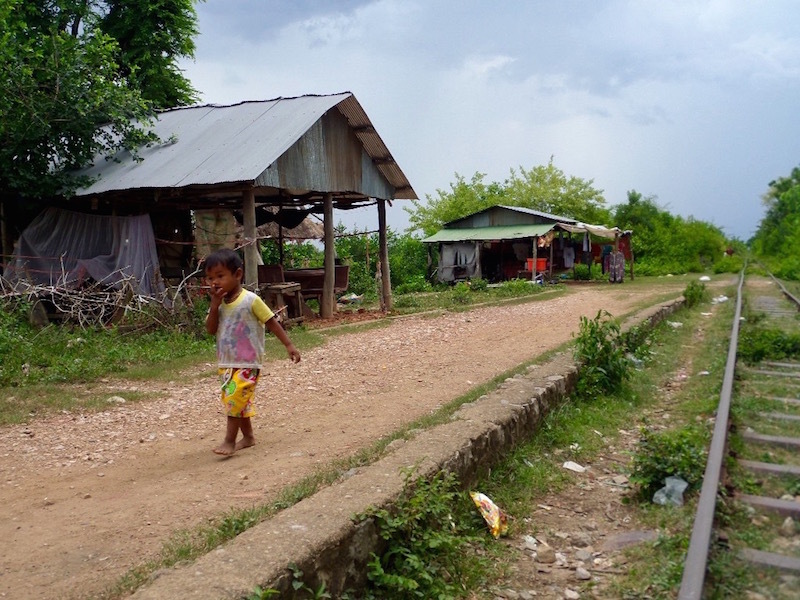 This flimsy looking, 3-metre long plank of wood transports tourists 20 minutes each way between the town of O Dambong and Battambang’s Wat Kor Bridge, reaching speeds of up to 30 kilometres per hour. 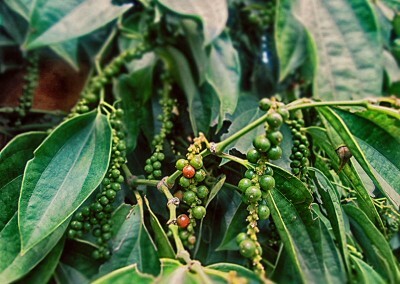 With the sensation almost similar to that of a rollercoaster you’re passing through local villages and past rice plantations in no time, certainly a unique way to see the local life. The ride will cost you $5 per person ($10 if there is only 1 person), however unfortunately only about $1 of that goes to the driver so we recommend a small tip at the end. Phnom Penh was not the only place that wore the brunt of the horrors that occurred in the Khmer Rouge. 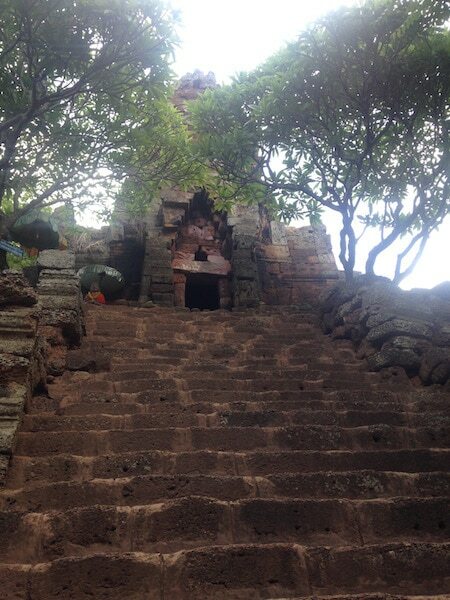 The scenic areas surrounding Phnom Sampeau hold a horrific history and the caves are now a graveyard for many of the Cambodians who lost their lives here. These days the caves are overgrown with beautiful vine leaves and greenery but as you head down the steep stairs you can get a view of what once was, a shrine for remembrance and tribute to those who lost their lives. 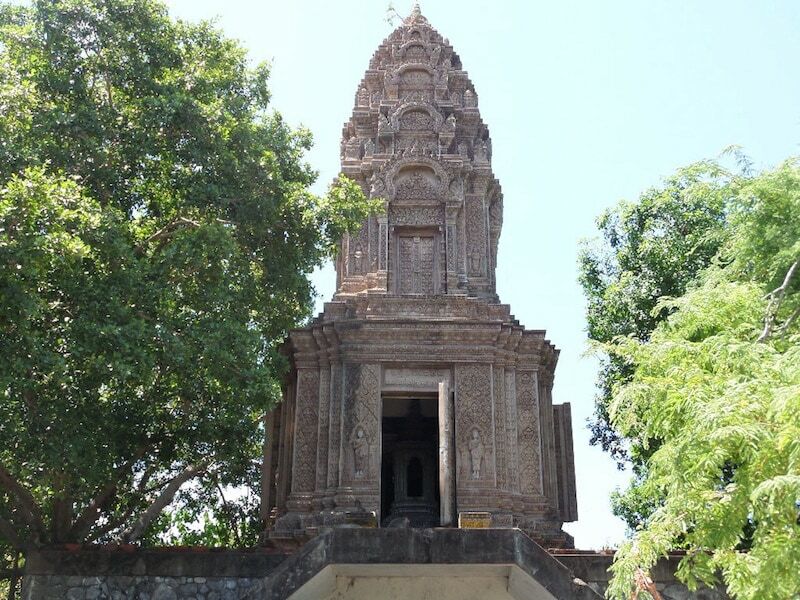 It is an important place to visit to get an understanding of Cambodia’s past as well as take in what you can of the magnificent views of the surrounding areas. The cost to get into the caves is $3 and you can usually include this visit in a city tour, which includes the Bamboo Train, with a tuk tuk driver. 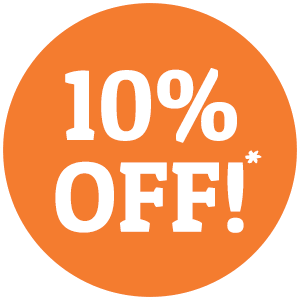 *Note: Great for backpacking budgets! 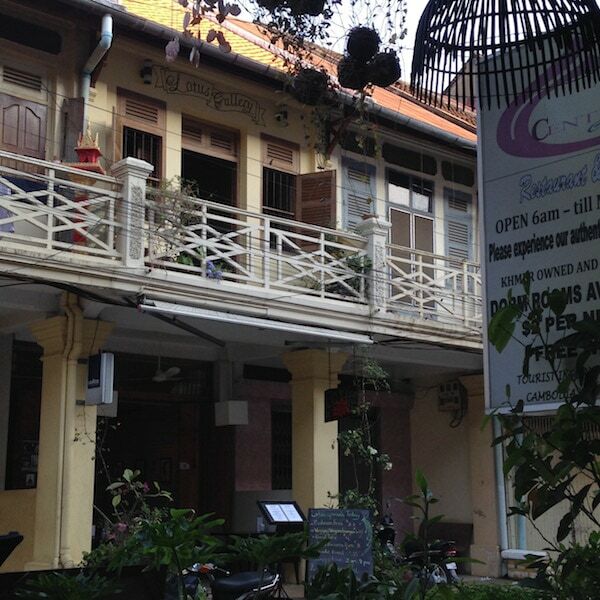 Along with Battambang’s French Architecture comes a French Arts scene. A number of galleries line streets 1.5, 2 & 2.5, and you can browse through the featured pieces from both local and international artists. A lot of the galleries also run as coffee shops and restaurants. We love the Choco’larte Café where you can admire the paintings and also get yourself a delicious crepe for less than $3. 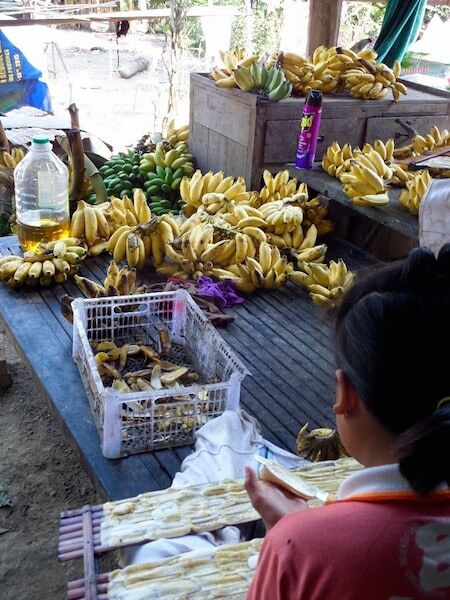 There are many NGO’s who have set up social enterprises in town as a way to provide job opportunities to the vulnerable people in the community, and as a way to generate funds for other projects. 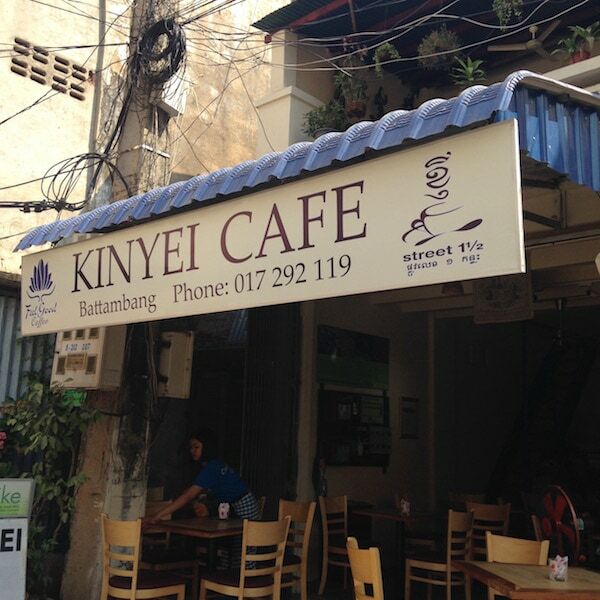 Enjoy a top class meal at Jaan Bai, or a coffee at Kinyei Café, knowing your money is going to a good cause. There is also Coconut Water, Lonely Tree Café & Café Eden who all play a part in giving back to a social cause. 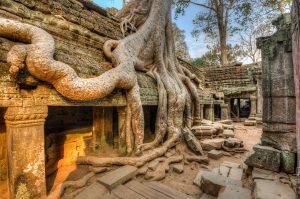 This temple is one of Cambodia’s best preserved temples. 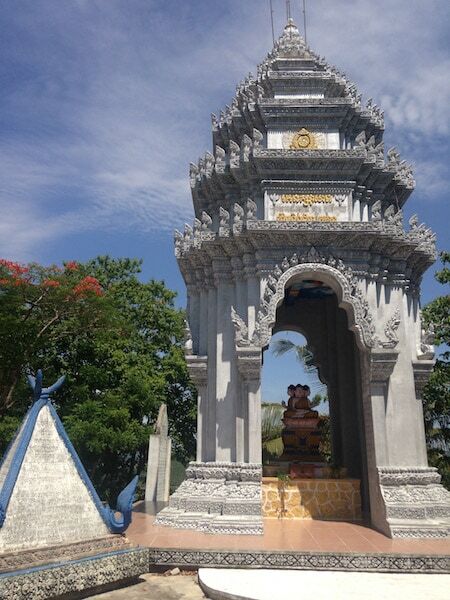 Located near to Phnom Sampeau you could include this stop while on a tour of the Killing Caves. Make sure you bring some water with you though because the temple is located at the top of a steep 300-stair climb, well worth it once you reach the top and are rewarded with great views of both the temple and it’s surroundings. 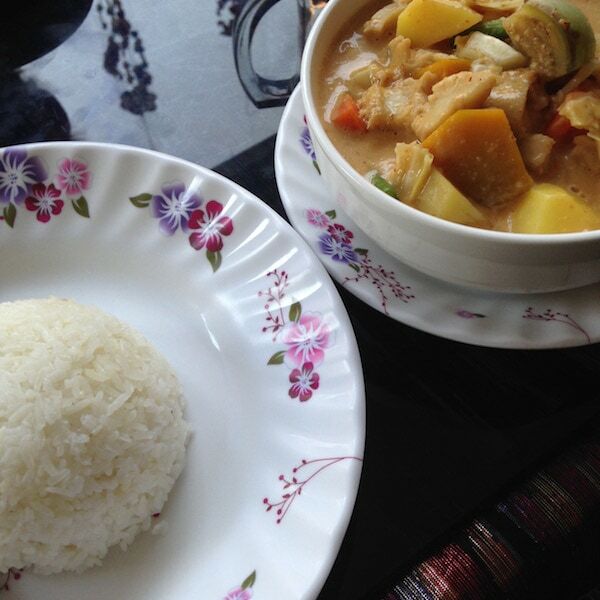 Battambang has a number of restaurants and café’s serving both Western and Cambodian food, and what’s great is that the price is relatively cheaper than Siem Reap and Phnom Penh. 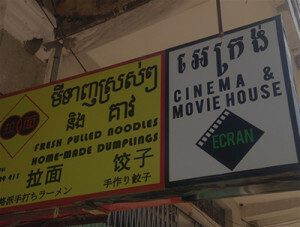 Most of the main restaurants are located from streets 1.5 – 3 and you will find many cuisines including Asian, Italian, Spanish, French and English food at the local Pub. There is even a small Wine and Tapa’s bar that serves Chilean and French wine for the wine lovers. The nightlife in the town isn’t as vibrant as Siem Reap but they do have a Pub Street with a few small bars that stay open until Midnight. If street food is what you are after then the choice is minimal, however you’ll find most street vendors sell sweet popcorn if you’re looking for an afternoon snack. 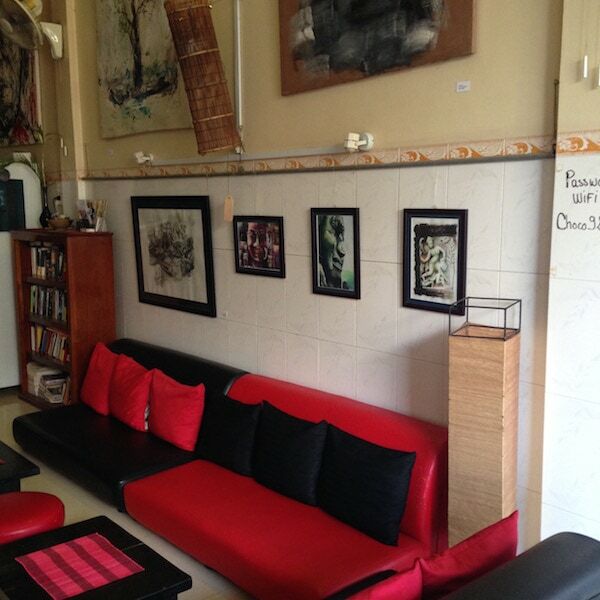 The two main hostels located in town are Ganesha Family Guesthouse and Here Be Dragons. 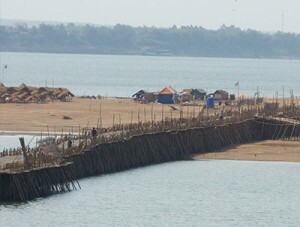 Both reputable hostels however Ganesha is more central and Here Be Dragons is a 10 minute scenic walk over the river. You can pick yourself up a decent dorm room for about $6 – $8 per night, a little cheaper than what you would pay in Siem Reap. 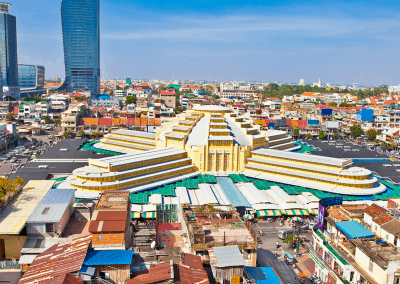 Otherwise you have a choice of many cheap hotels that offer comfortable stays without the perks of a hostel, some of which have a pool where you can cool off in the hot Battambang weather. If you need emergency care then the World Mate Emergency Hospital has basic medical facilities and a few western doctors. 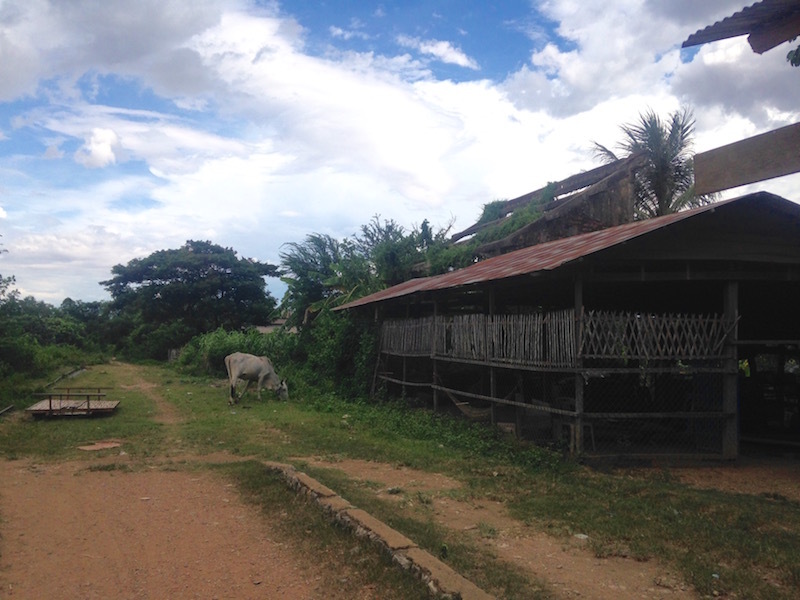 There is also Battambang Provincial Referral Hospital. For any more substantial injuries we recommend to travel to Phnom Penh if possible. Battambang also has a number of clearly marked pharmacies where you can purchase a whole range of basic pharmaceuticals. The Battambang Provincial Police Commissariat is the main police station in town. 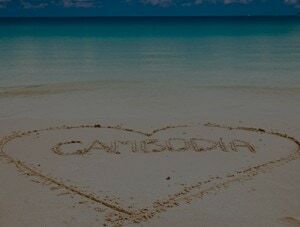 As with other areas of Cambodia be aware of scams and the high level of corruption in the industry. 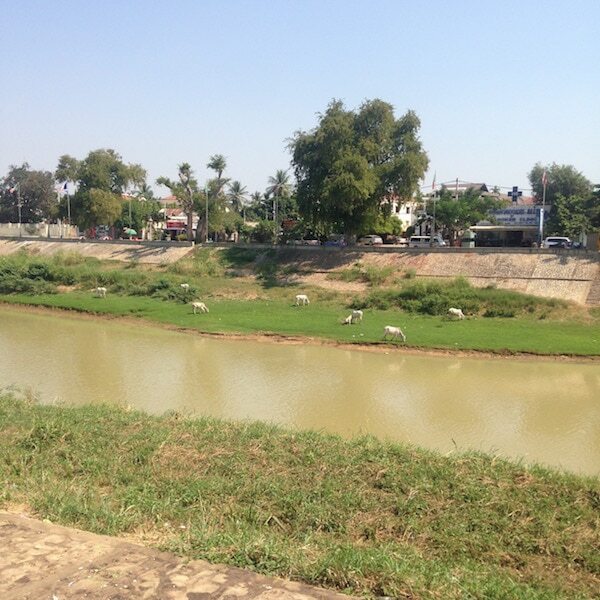 As for town safety, Battambang is generally a safe place for tourists to walk around. 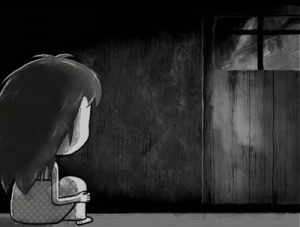 As always take precaution when walking at night and try to always have someone with you. Just spent a week there! We dined at Hope of Children cafe nearly every day for their breakfast buffet (three dollars for all you can eat homemade bread, jams, porridge, fruits, yogurt, museli, etc.). 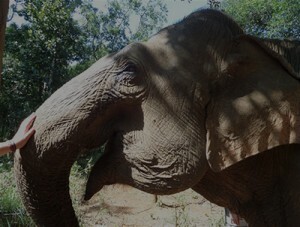 HOC is a social enterprise sheltering and educating orphans. The cafe is one way to raise awareness and raise funds for the cause. Food is really fresh and the cafe is relaxing. Also has Japanese food on the menu… There’s a Japanese long term volunteer there. Tomato Guesthouse is super cheap… 1.50 for a dorm bed and 3 dollars for a private “room”. Cool rooftop bar and restaurant. Private room wasn’t very comfortable so we moved to Chhaya hotel for 5 bucks a night for a big comfy clean private room!